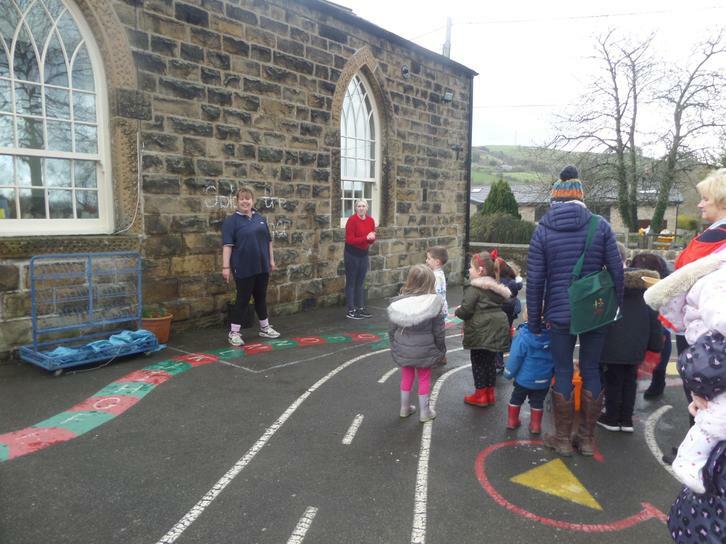 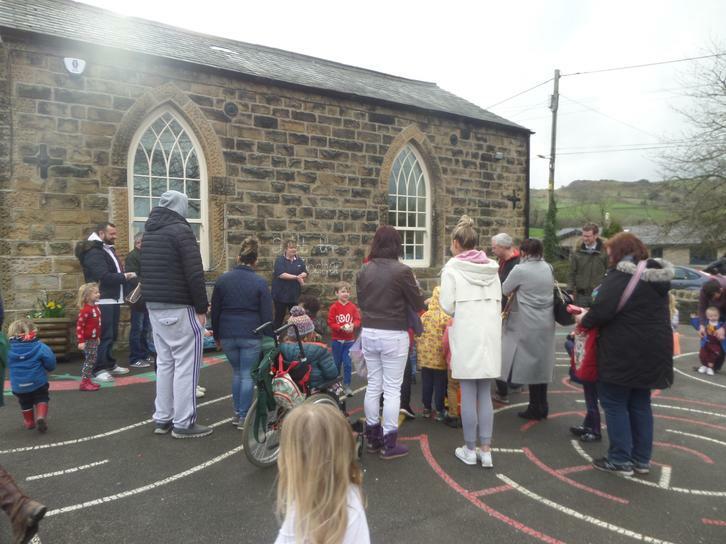 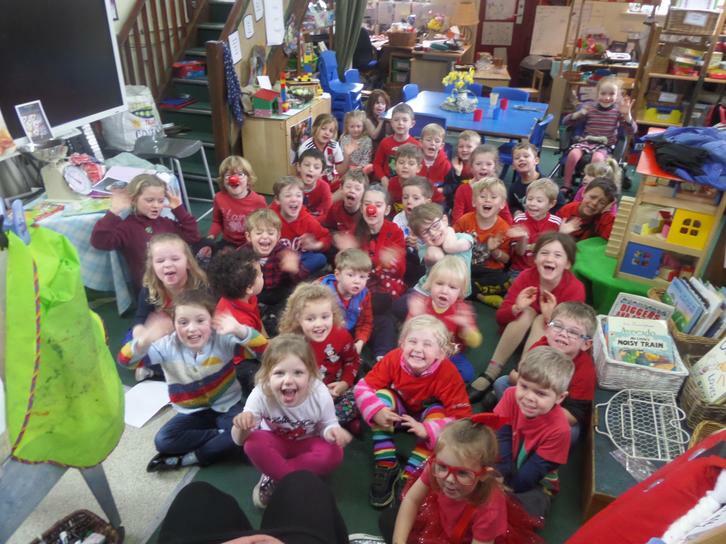 The children thoroughly enjoyed Red Nose Day. 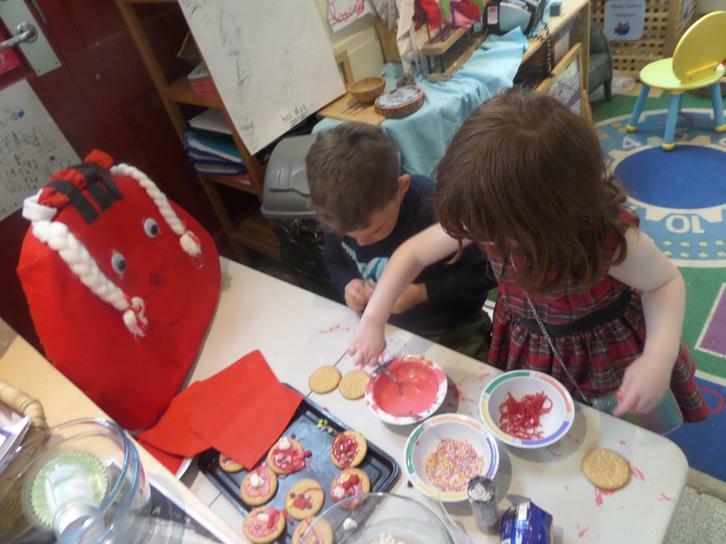 It was lovely to see the children dressed up and wearing red. 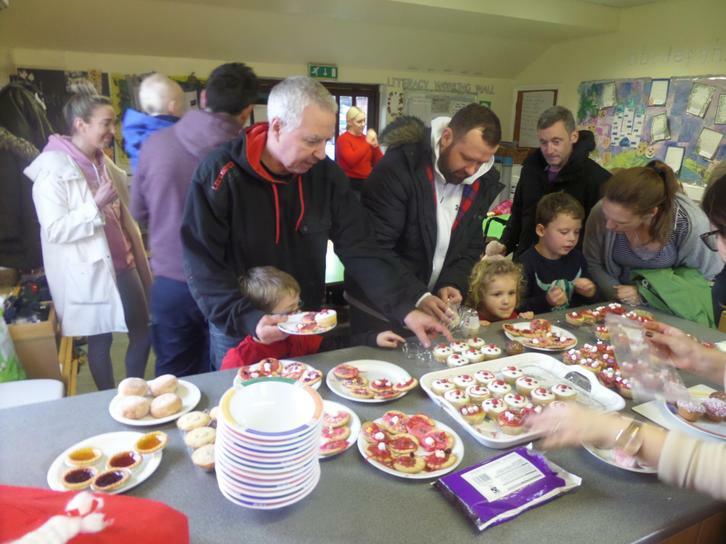 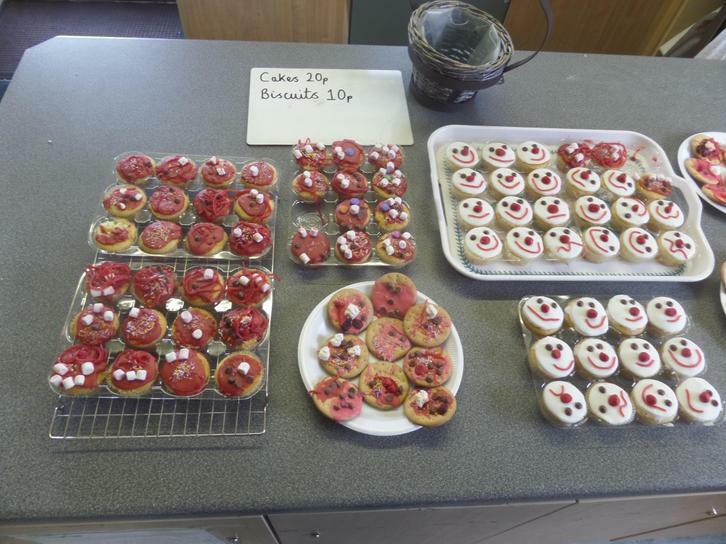 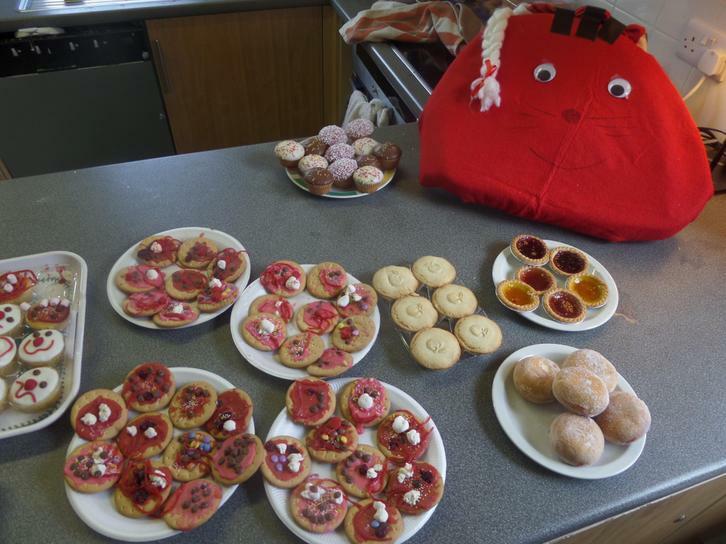 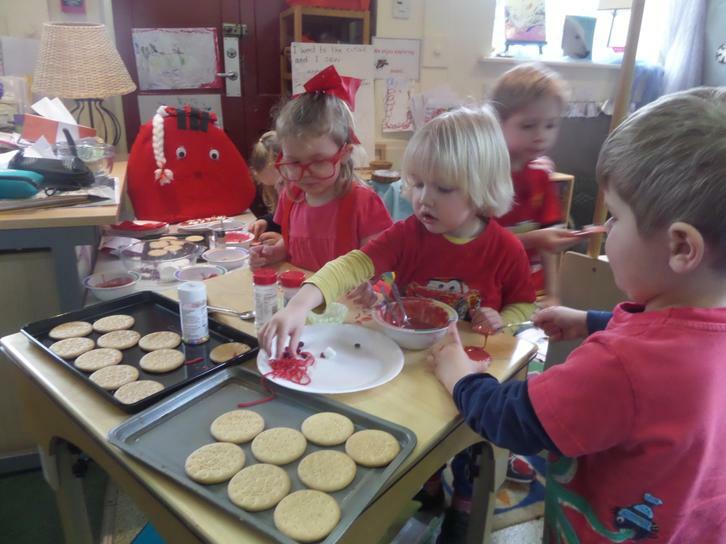 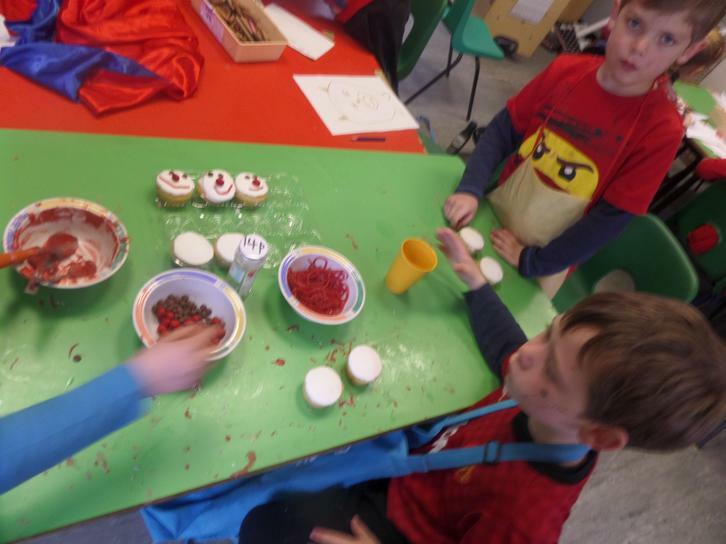 They enjoyed a Forest School morning themed around Comic Relief, designed and decorated cakes and biscuits for their sale at the end of the day and invented their own red nose poster. 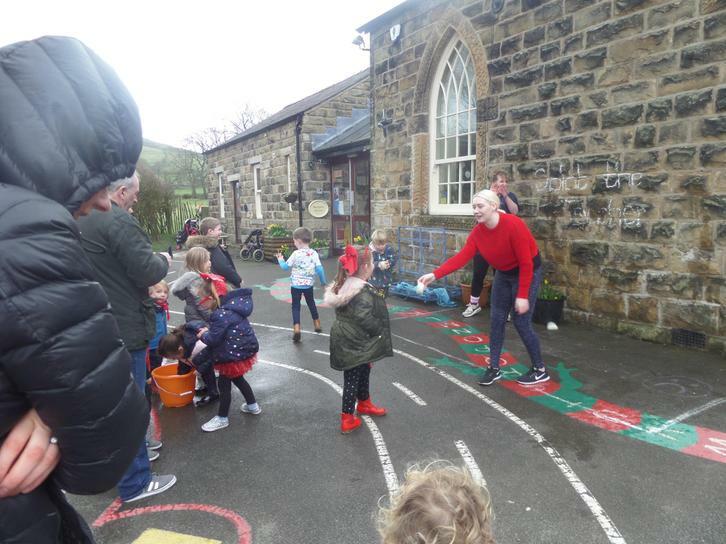 The children struggled to contain their excitement at the end of the day as they got to "Splat the Teacher". 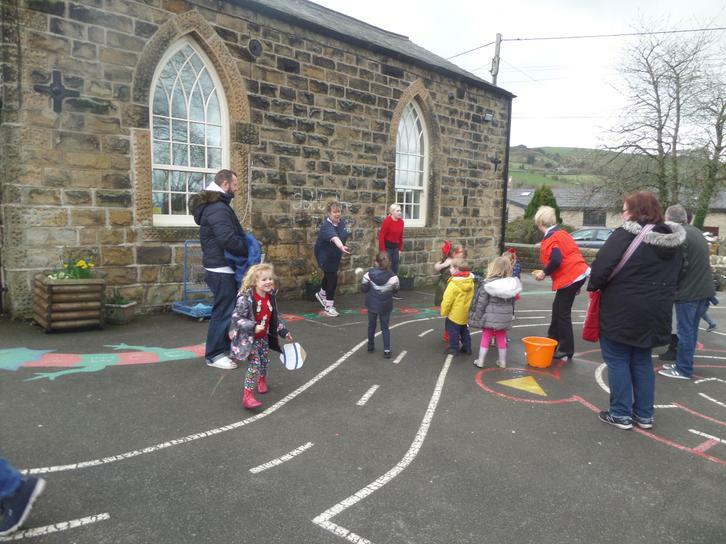 They took great satisfaction in throwing freezing cold sponges at their poor teachers. 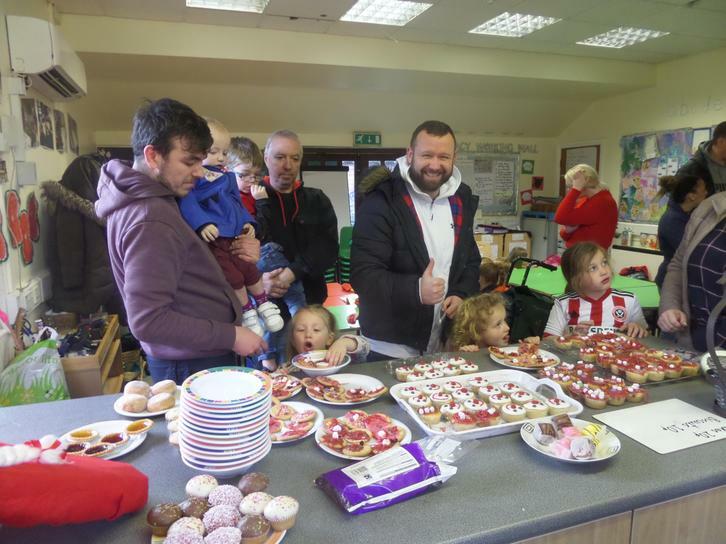 All in good fun and we raised a grand total of £87.46.